Scientists at the University of Missouri have devised a new way to create and control plasma that could transform American energy generation and storage. Randy Curry, professor of electrical and computer engineering at the University of Missouri’s College of Engineering, and his team developed a device that launches a ring of plasma at distances of up to two feet. Although the plasma reaches a temperature hotter than the surface of the sun, it doesn’t emit radiation and is completely safe in proximity to humans. 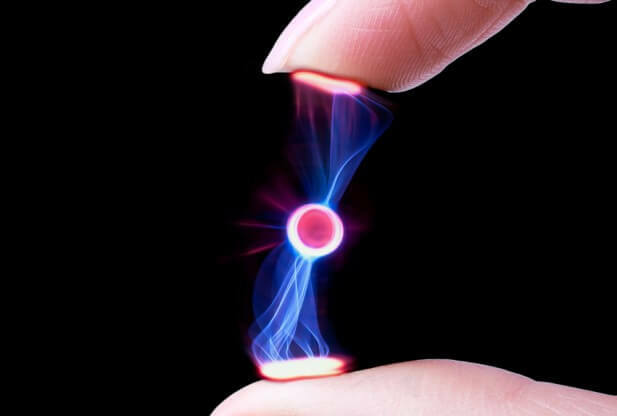 While most of us are familiar with three states of matter – liquid, gas and solid – there is also a fourth state known as plasma, which includes things such as fire and lightning. Life on Earth depends on the energy emitted by plasma produced during fusion reactions within the sun. The secret to Curry’s success was developing a way to make plasma form its own self-magnetic field, which holds it together as it travels through the air. “Launching plasma in open air is the ‘Holy Grail’ in the field of physics,” said Curry. The plasma device could also be enlarged to handle much larger amounts of energy, he said. For the current work, Curry and his team used older technologies to build their prototype of a plasma-generating machine. But a considerably smaller device using newer, miniaturized parts could also be built within three to five years with sufficient funding, Curry said.